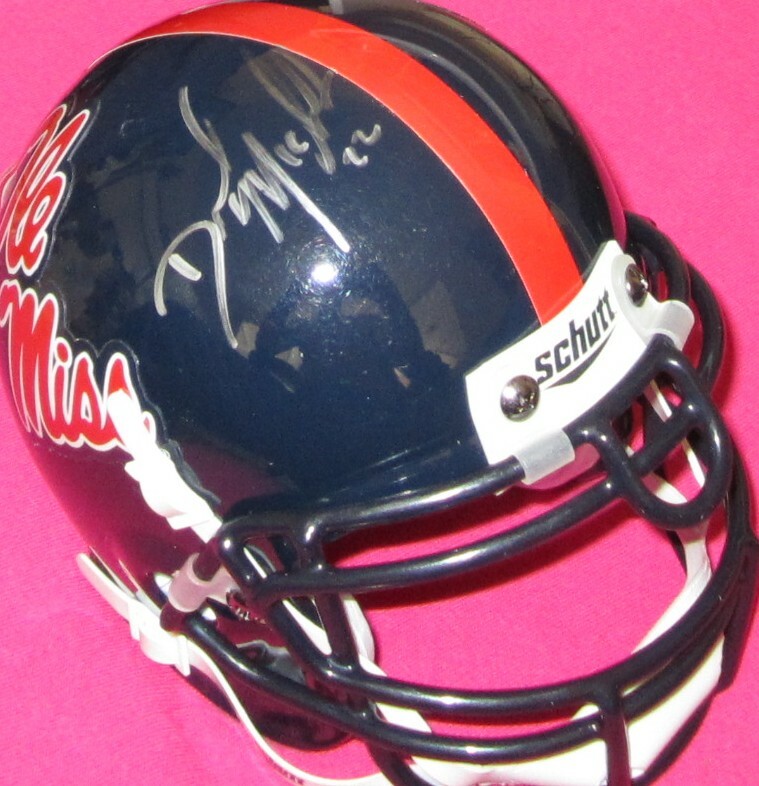 Mississippi (Ole Miss) Schutt mini helmet autographed nicely in silver by former superstars Dexter McCluster and Shay Hodge. 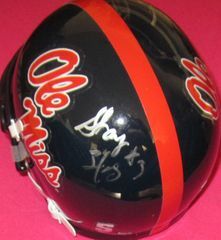 Obtained in person at the 2010 Senior Bowl. With certificate of authenticity from AutographsForSale.com. ONLY ONE LEFT.